Based on firearms built to withstand the varied and unrelentingly harsh conditions of battlefields around the world, FN brings you the FN 15™ Carbine. This firearm features a 16-inch, button-broached, chrome-lined barrel for extended service life and a collapsible stock for easy adjustment to the shooter’s needs and positions. The FN 15™ Carbine is finished off with a removable carrying handle with rear sight and an A2-style front sight for easy target acquisition and hosts a single heat shield, oval hand guard. 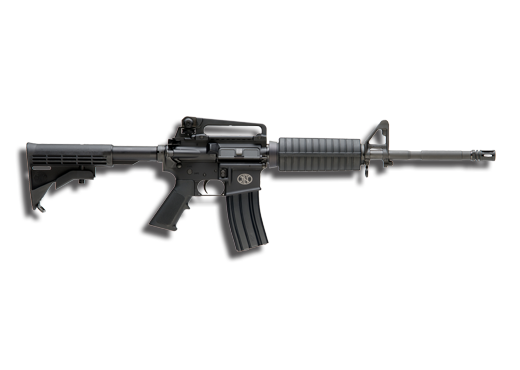 For those who want the newest version of this battle classic with the accuracy and reliability of FN, look no further than the FN 15™ Carbine.